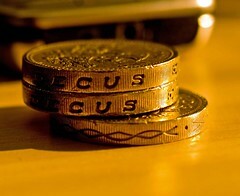 How will the credit crunch impact our youthwork? May sound like a distant question for some of us but there will be implications. Long term it could well end up impacting the ability to pay salaries but in the short term it will hit the pockets of the families we work with and if we put events and activities on which cost money we may well be adding to pressures for some. Has anyone had any thoughts on this? Anyone been impacted already? would be interested to know if people have.